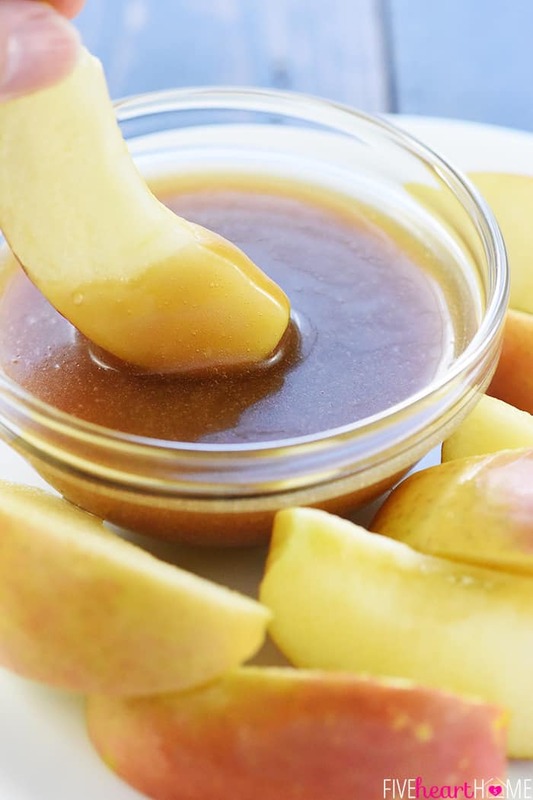 Quick Homemade Caramel Sauce is thick, gooey, and made with just five ingredients in five minutes, perfect for apples, brownies, ice cream, or as a gift! I’m SO excited to bring you today’s post, featuring one of my personal favorite, all-time most-popular recipes (quick and easy Homemade Caramel Sauce! ), accompanied by brand spankin’ new photos AND a caramel sauce recipe video (which you can find towards the bottom of this post, just above the recipe)! YAY! You see, I shared some of my most beloved recipes in the early days of Five Heart Home…back when I didn’t have many followers and my food photography was in its, ahem, early stages. 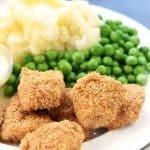 And while such recipes get decent traffic via Pinterest and Google searches, my loyal regular readers likely missed out on them way back when. So I’ve decided to revisit and update some of those older blog posts with helpful new information, shiny new photos, and even step-by-step recipe videos. 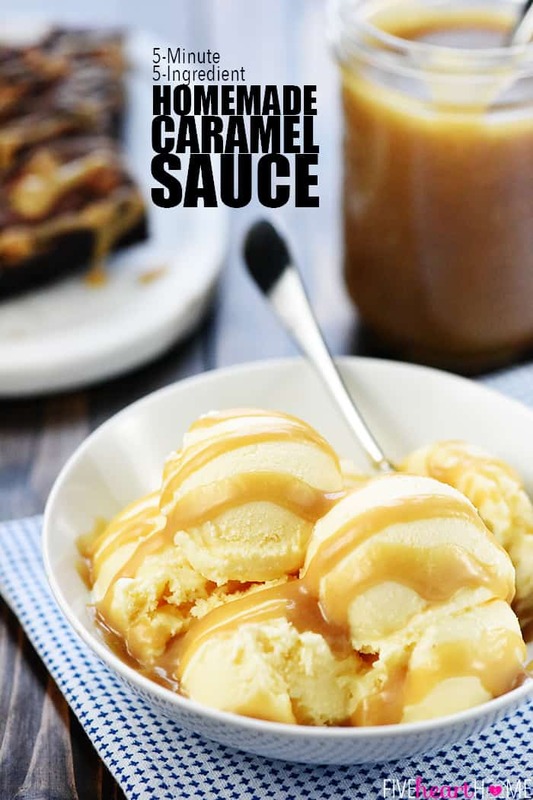 And this 5-Minute, 5-Ingredient Homemade Caramel Sauce is my inaugural recipe to republish! Are y’all as excited as I am? In my opinion, caramel sauce is akin to the nectar of the gods. 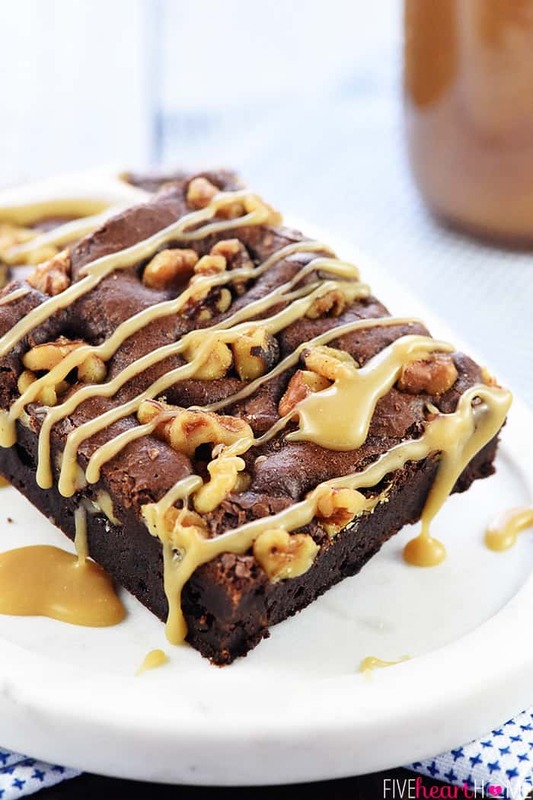 It complements a variety of other flavors, it turns even health food into a decadent treat, and it’s pretty darn tasty with no other accompaniment than a straight-up spoon. But…how to make caramel sauce?! Well, you won’t believe how easy it is using this recipe. There’s no candy thermometer, no persnickety directions, and no extended stirring. 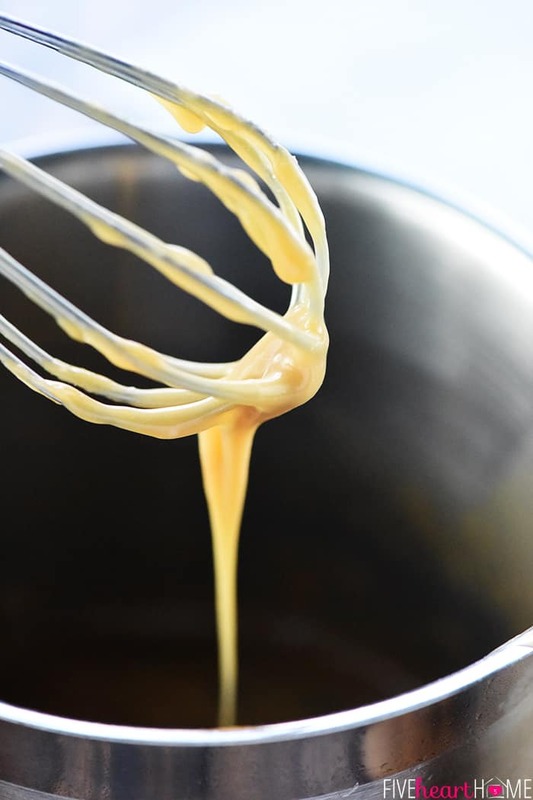 There are just five simple ingredients that transform into gooey, sticky, buttery caramel sauce in about five quick minutes. And it’s amazing! Let’s take a moment to analyze those five simple, yet critical, ingredients, shall we? 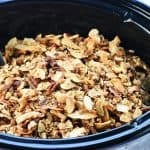 BROWN SUGAR: In my younger days, I used to babysit a little girl who would hop up on the kitchen counter and eat lumps of brown sugar straight out of the jar when her ever-observant childcare provider wasn’t looking. (Why yes, she was a tad bit energetic. Why do you ask?) Years later, I tried a lump of straight brown sugar myself. I totally get it now, kid. HEAVY CREAM: AKA, the key to rich, silky caramel. Yum. VANILLA EXTRACT: Make sure you use the pure stuff here. I’ll share the brand I’m obsessed with in the Tips & Tricks section below. SALT: Salt (I prefer sea salt) complements caramel beautifully. The end. Most homemade caramel recipes call for cooking granulated sugar until it reaches a specific temperature and, well, caramelizes. The caveat is that it takes awhile and it’s easy to burn the sugar if you’re not monitoring it closely. This recipe relies on brown sugar for the same caramel-sauce-end-result but in a fraction of the time. And the best part? It’s easy to make, but not so easy to burn! Just melt butter, add brown sugar, and stir for 2 minutes…add cream and stir for 2 more minutes…mix in vanilla and salt, and you’re done! It really is that quick and simple. There is just one small problem. Those five minutes I mentioned do not include the time it takes for said homemade caramel to cool sufficiently enough to eat it by the spoonful without singeing your mouth. This stuff is pretty molten when it first comes off the stove. In fact, you may be concerned by how thin and almost watery it appears. Don’t be! Once the caramel cools to room temperature, it will set up to the perfect consistency. And once you refrigerate it, it will thicken even more. Since you will naturally want to taste test as soon as your caramel is done, however, my advice is to scoop some out on a spoon, set it on a plate for a few minutes until it comes to a reasonable temperature, and then sample away. After all, let’s be rational here. If you burn your tongue right off the bat, you’re not going to be able to taste the rest of it anyway! After you’ve test driven this caramel sauce with apples, might I suggest next pouring it over a classic bowl of vanilla ice cream? 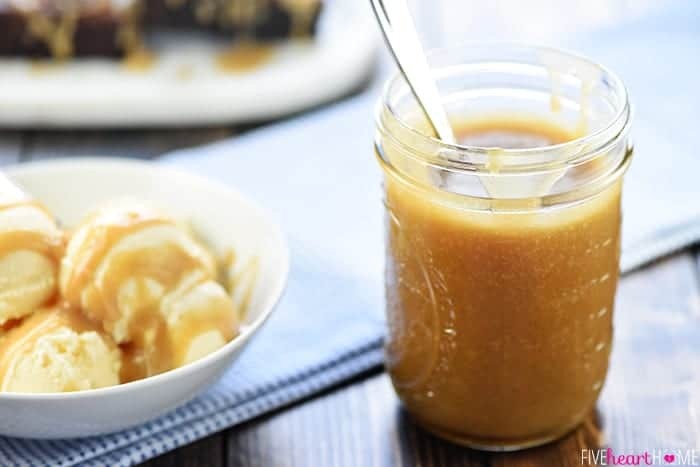 And finally, this Homemade Caramel Sauce is a delicious addition to so many other scrumptious recipes, from Caramel Apple Cheesecake Dip to Caramel Brulée Coffee Creamer to Caramel Croissant Bread Pudding to Caramel Apple Cider. Yum, yum, yum, and YUM. …or it’s a thoughtful gesture for your neighbor, your child’s teacher, the mailman, or anyone else to whom you care to extend some holiday cheer. As much as I love a plate of Christmas cookies, homemade caramel sauce is a treat that’s just a little bit different, and it can be enjoyed right away or saved for a special occasion. Indeed, it’s the gift that keeps on giving. Use real butter here…no substitutions! Salted butter is recommended for this recipe but unsalted would work as well. 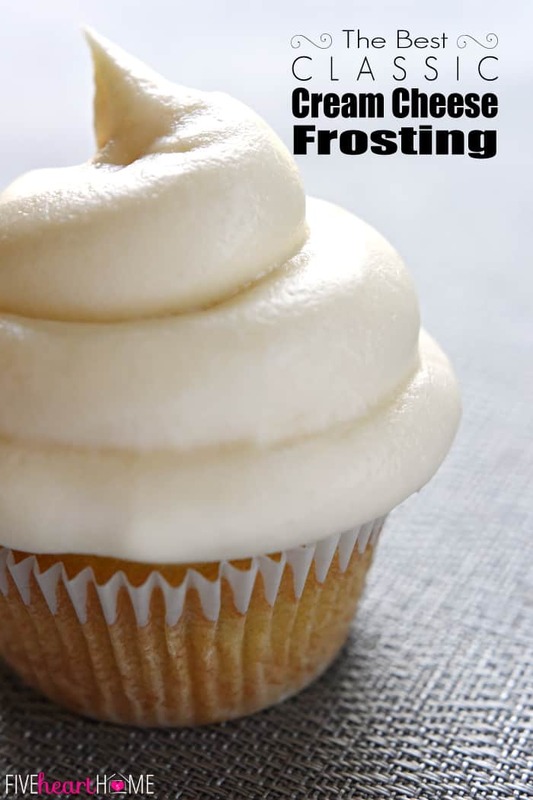 Also use good quality vanilla, because you really do taste it in a recipe like this. Lately, vanilla has been more expensive than usual because of a global vanilla bean shortage (? ), but Nielsen Massey Madagascar Bourbon Vanilla Extract remains my favorite brand. It just has the best darn flavor…forever and ever, Amen. 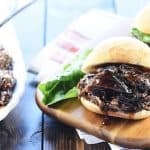 You can use either light brown or dark brown sugar in this recipe…the caramel sauce will just turn out lighter or darker depending on which you choose, and it really comes down to personal preference. 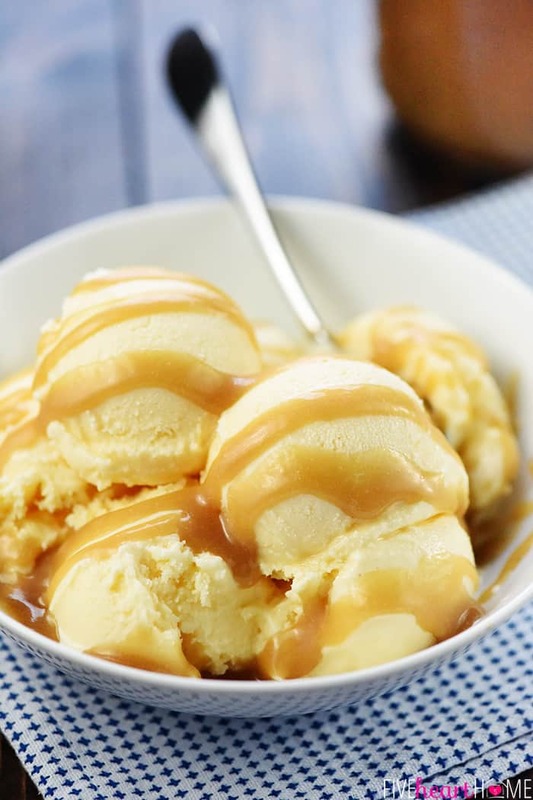 The caramel sauce shown in the photos in this post was made with light brown sugar, and the caramel sauce featured in the video was made with dark brown sugar. Be sure your saucepan is deep enough to account for the bubbling caramel that may rise up the sides of the pot as it cooks. The caramel sauce will be thin when it is done cooking. DO NOT PANIC! It will thicken up nicely once it completely reaches room temperature, and even more so once chilled. Finally, I hope y’all enjoy (and find helpful) the CARAMEL SAUCE VIDEO!!!??? In a medium saucepan set over medium-low to medium heat, melt the butter. Mix in the brown sugar and stir for 2 minutes. Mix in the heavy cream and stir continuously for 2 more minutes (the sauce should be gently bubbling, so adjust the heat, if necessary). Remove the pot from the heat and stir in the vanilla and the salt until well incorporated. Pour the hot caramel sauce into a jar and allow it to cool completely. Cover and store in the refrigerator for up to a month. The caramel sauce will be thin when it is done cooking, but it will thicken up nicely at room temperature, and even more so once chilled. Post originally published on November 15, 2013. I’m having a fondue party and was wondering if it would be ok to serve it in a crockpot on a warm setting. Or would that ruin it? That’s a great question, Jolynn…I’m honestly not sure. This caramel sauce is pretty thin and runny when warm, so I have a feeling it might not make the best fondue. I also don’t know if the sugar would start to crystalize (or something weird like that) if it was kept warm for an extended period of time. I’m sorry! But it’s a great dip at room temperature! I just wanted to let you know how much my whole family (all 24 local plus the other 10 that visit twice a year) love love LOVE this sauce! I have even caught my BOTH my 13yo and 6yo daughters sneaking spoonfuls from the jar in the fridge! My boys love it just as much, but aren’t quite so brave as to steal my sauce! Also, I was trying to come up with a treat to take to a baby shower last week and I only had about a third of a jar left so I poured it over a brick of cream cheese and sprinkled Heath bar bits over it and it made an apple dip to die for! It was gone ten minutes in to the baby shower! Thank you so much for this wonderful recipe! Just tried this yesterday and it was to DIE for! I would like to make a huge batch to give out as favors at my sister’s baby shower. Can I triple the recipe? Quadruple? I have doubled and had no problems. I am making this today to go with apples we just picked from the orchard. It looks so easy and delicious! Just one question – Is the sauce supposed to be bubbling during the four minutes you are stirring? I’m so sorry that I can’t advise, Donna…I have no experience with high-altitude baking/cooking. 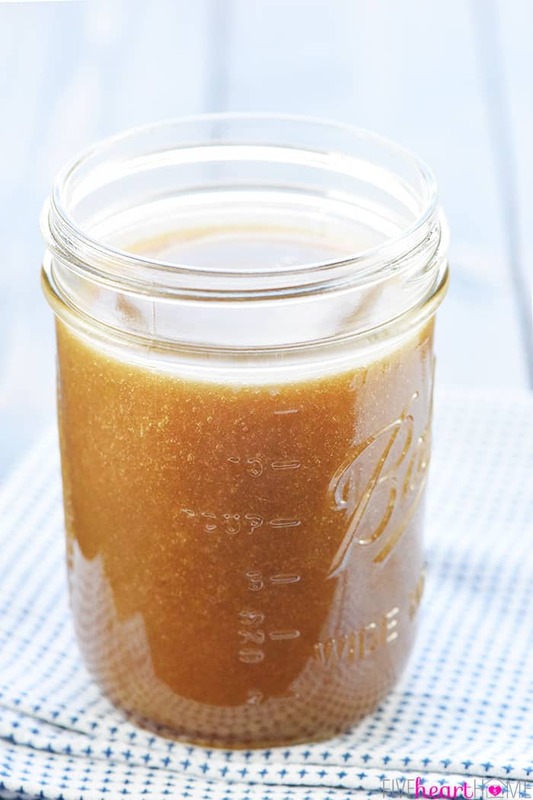 This homemade caramel sauce is a must try!! I just made this and it tastes great! I incorporated the sea salt. Thank you! No way it’s going to be around in a month! Made the chocolate syrup yesterday and today made the Carmel . There is 2 hours left in the day. I m not sure if it’s going to be around in the morning! I have made this several times over the past month……perfect!!! 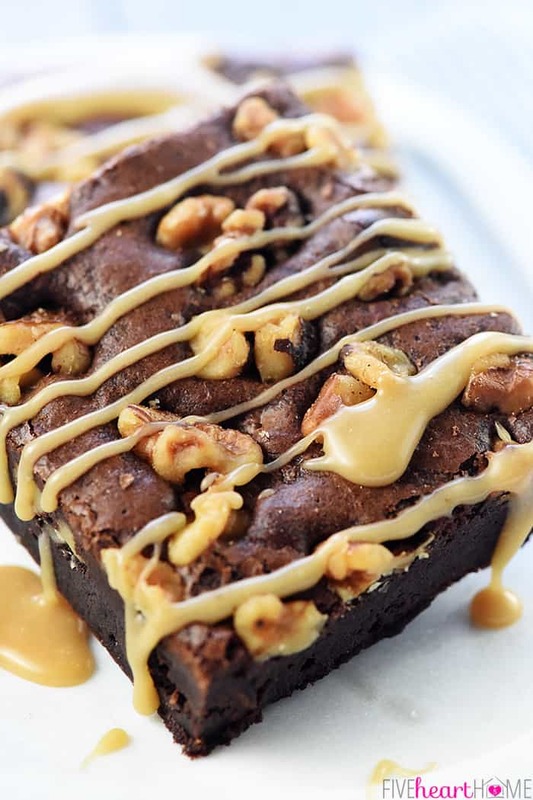 Even people who do not like caramel, like this divine decadence!!!!! Thanks so much!! 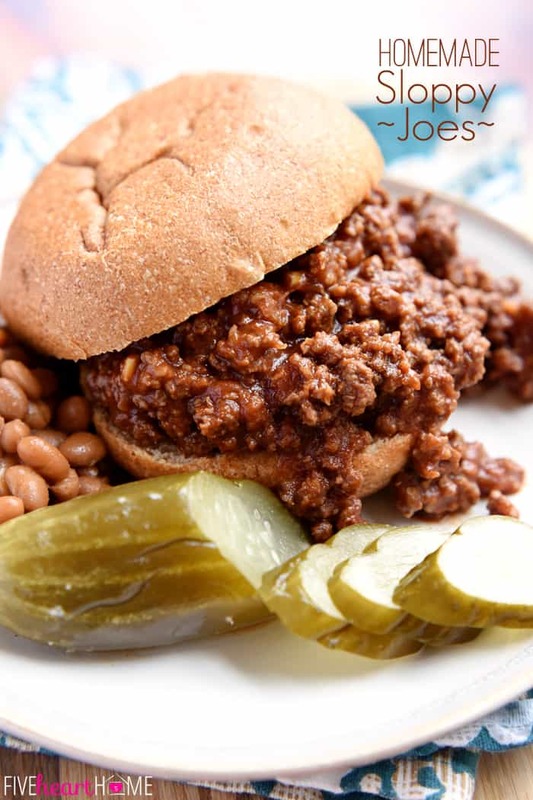 Have you ever doubled, or tripled (or more), this recipe? 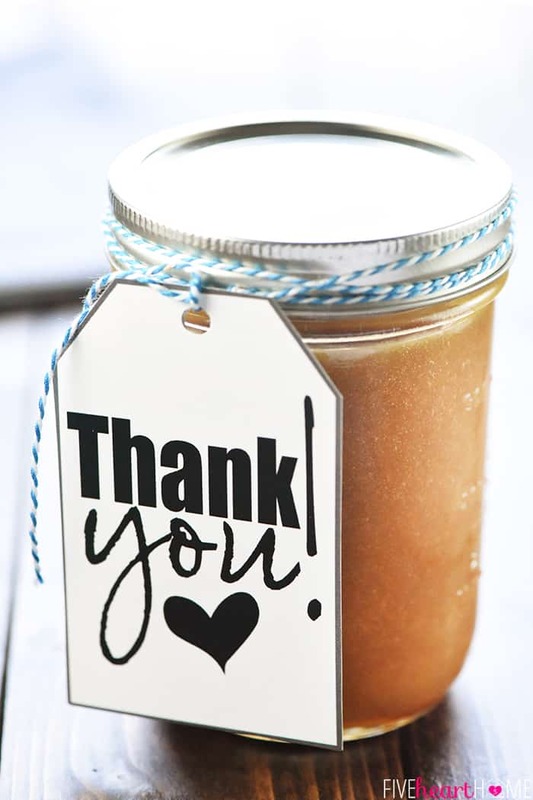 I’m looking to make about 10+ jars for hostess/neighbor gifts and I am wondering if I need to do each recipe, individually, or if I can do it all at once. Hi Katie! I’ve doubled this recipe before but not multiplied it more than that. If you decide to try a bigger batch, just be prepared to cook it a bit longer at each step. Also, be sure to use a big pot to allow for bubbling caramel creeping up the sides. Good luck! 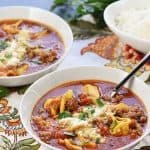 Is it possible to can this recipe so it last longer? I was thinking Christmas presents however i would like to can everything this month. Do you think a waterbath for 15 minutes would do the trick? Hi Melissa! That’s a great question and a great idea, but I don’t feel qualified to answer it as I don’t have any experience canning this recipe. But good luck if you decide to give it a try! Way to salty using salted butter and 1/8th tsp sea salt. Next time will omit salt entirely if using salted butter. Sorry to hear that, Elizabeth! Some salted butter is definitely saltier than others. Hi Melissa – Could you use part Splenda brown sugar and part regular or would fit just not work? I am pre-diabetic – trying to behave! Hard to do – can only taste sugar because of car accident and brain surgery a long time ago. RATS. But, I am very blessed to be here. FRIENDS, BE SURE TO WEAR YOUR SEAT BELTS IN THE BACK SEAT!! ACCIDENT WAS BEFORE WE WERE CONCERNED ABOUT THE BACK SEAT. Thank you! Your recipe always turns out so nice for me. I had a hankering for some caramel sauce tonight and even though I only had enough cream to make a half recipe it turned out perfect! I’ve made it where the butter will rise to the top when it cools in the refridge. Am I doing something wrong? 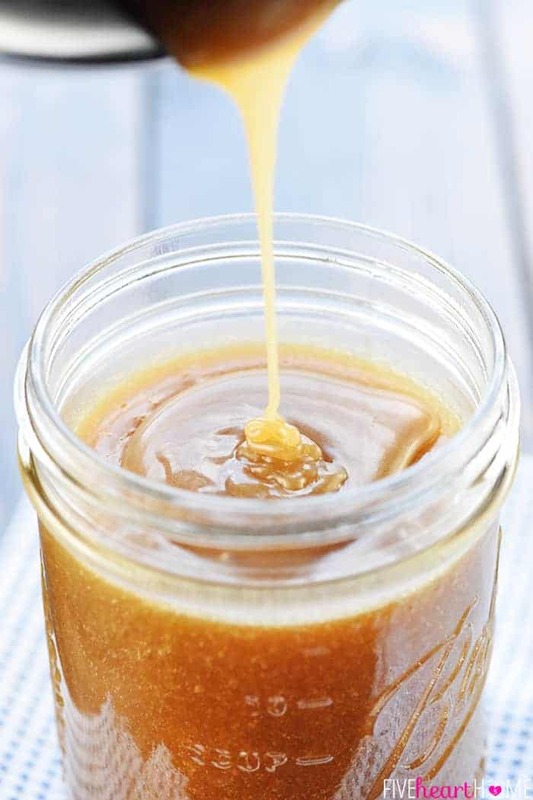 The easiest and the best tasting caramel sauce! Mine did not boil during the first two minute cooking time or after the cream was added. In your video, the caramel is boiling. Is that what you meant by “ stir for 2minutes”? It stil turned out creamy and delicious, but thin. Thank you for sharing this recipe online. I made it last night for my family and it was absolutely delicious. I also shared it on my FB page as well. How long is it safe to leave it un-refrigerated? It’s fine to leave it out for a couple of hours if you’re giving a jar as a gift or something, but it does need to be stored in the refrigerator. I don’t have heavy cream, do you think whole milk or half and half would work? I think it needs to be heavy cream, Leah, for optimal results. Half-and-half might get you close but I don’t think whole milk would work. 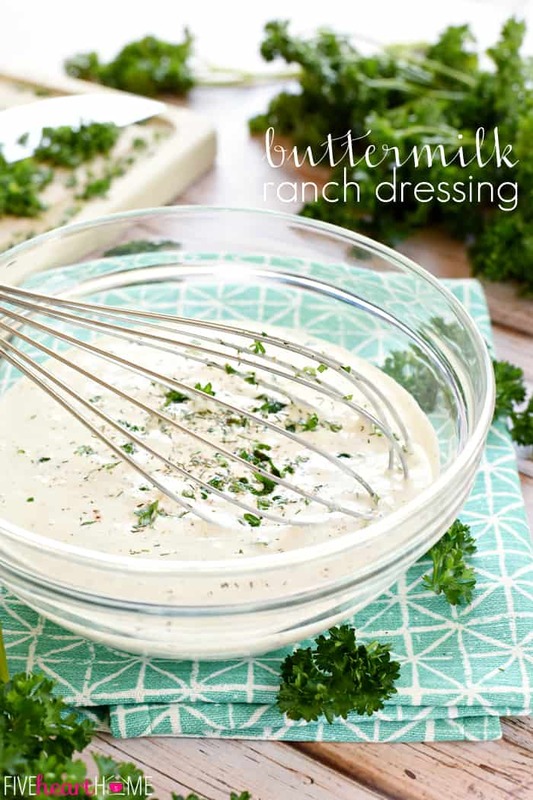 That being said, I’ve never tried making this recipe with anything but heavy cream, so let me know if you decide to try something else and it works! Hi, love love love your caramel sauce! Made a jar for my 97 yr old Mom yesterday, she loved it. Say if you cooked it longer could you do caramels? Or do you have an easy 1 for that? I am a little disappointed in this caramel sauce. It turned out fine and will serve the purpose, but it doesn’t really taste like caramel. To me, it just tastes like brown sugar. I was looking for something that actually tastes like caramel.